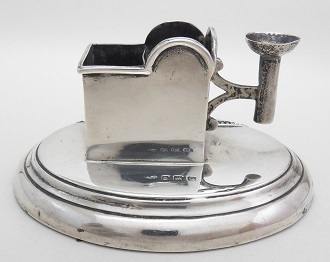 PCD0319/22 SILVER DESK TOP SEALING WAX HOLDER WITH VESTA HOLDER AND STRIKER AND HOLDER FOR SMALL TAPER. 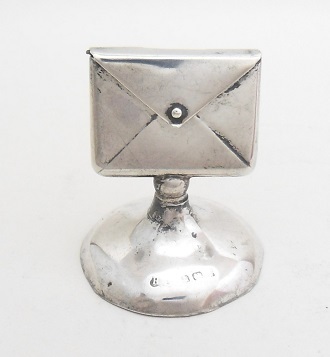 HALLMARKED BIRMINGHAM 1908. 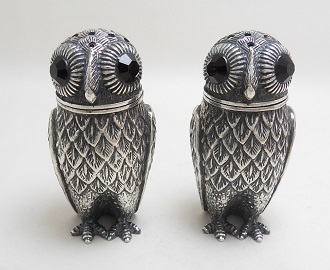 PCD0319/18 EARLY 20TH CENTURY SILVER SALT & PEPPER MODELLED AS OWLS WITH ORIGINAL GLASS EYES. BOTH MARKED 800 ON BASES. 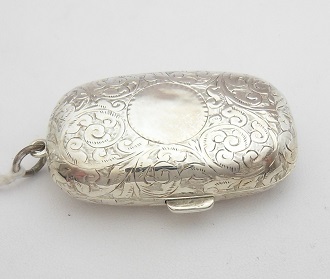 Fully hallmarked Birmingham 1893 by H Matthews. 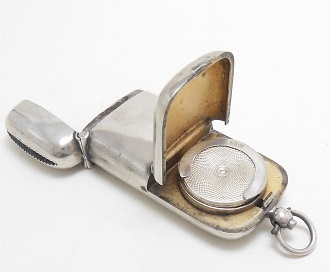 Fully hallmarked for Chester 1902 by Geo. Nathan & Ridley Hayes. With ruby eyes. 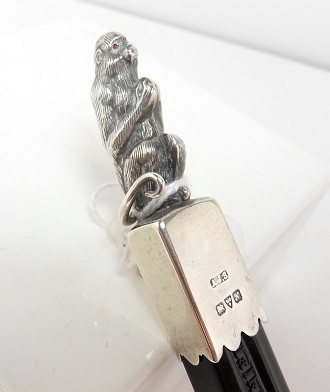 Hallmarked Chester 1913 Arthur Johnson Smith. 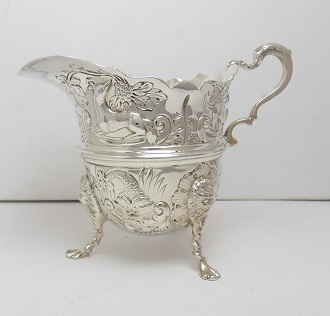 Today silver is one of the most popular collecting fields within the antique world. 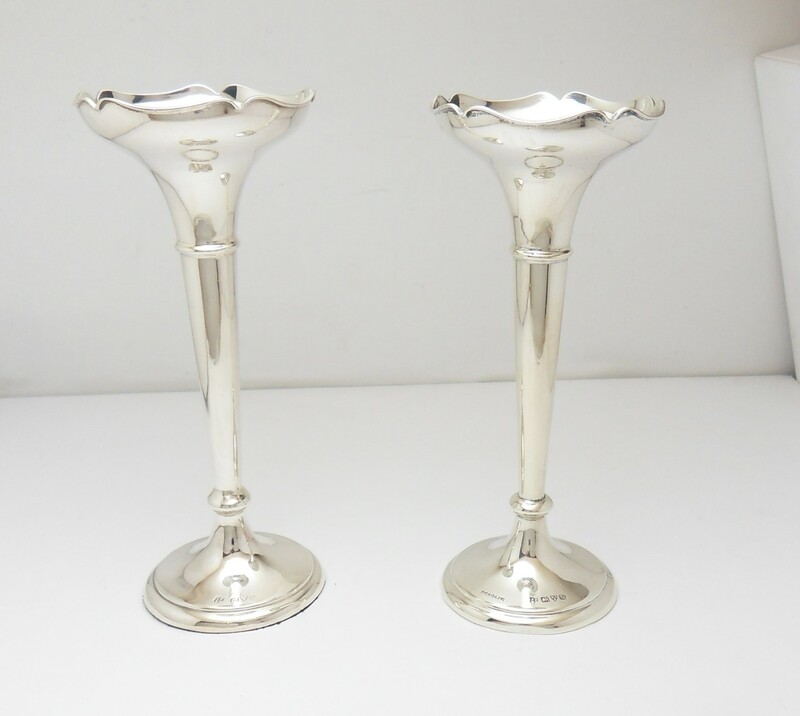 At Woodbridge Antiques Centre, we stock a wide variety of silver to suit varying tastes and budgets, from more practical everyday items like Edwardian sauceboats or Georgian flatware, to items that would make great gifts such as Victorian photograph frames, bon bon dishes or Art Deco enamelled hand mirrors. 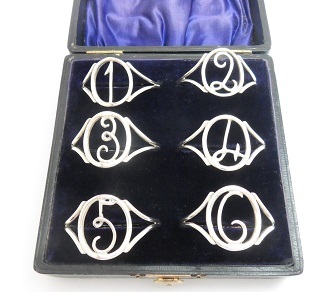 We also stock more specialist collector’s pieces, for example Georgian vinaigrettes, Victorian vesta cases and Arts and Crafts silver. 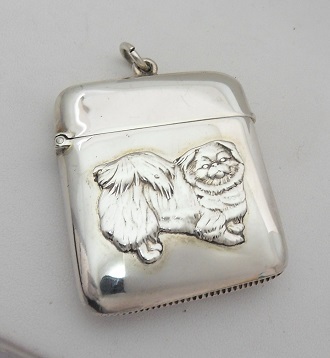 If you need help in identifying solid silver, together with age and maker, read our article here.